Too many things to retell! Finally the first weekend of March had been marked off for Melissa DiCocco to visit me. We'd been planning since she arrived in November, but nothing seemed to work out for both of us. 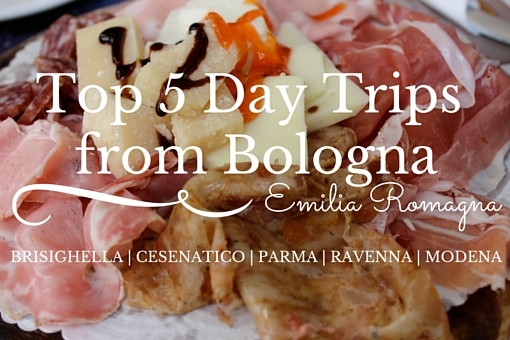 Fortunately for her, the first weekend of March held something very special in Bologna history. Lucio Dalla. We had a lovely weekend walking the city, hanging out with her cousin and girlfriend, trying new places to eat, and indulging in a few bottles of wine. It was the first weekend filled with sun we'd had in a while, so we took advantage, grabbing coffee outside while we could. We also realized we shared the same sweet tooth, so Gelato, Crepes and more gelato were on our to-do lists. The weekend slipped away between on the eating, shopping and relaxing and finally Monday, March 4th came around. Originally Melissa was supposed to leave Sunday night, but after we heard that ANDREA BOCELLI Gianni Morandi, Zucchero, etc... would be here in Bologna to perform for Lucio Dalla's tribute concert, there was no way Melissa was headed back to Fontechiari to miss that! To miss Andrea Bocelli, live, in Bologna! You've got to be crazy!!! So Monday we got all psyched for the concert that night! We did some more shopping and eating, watched "To Rome With Love" then headed to the grocery store to get dinner to bring to Osteria del Sole. We enjoyed a bottle of Pignoletto, a baguette, prosciutto, formaggio and olives, along with a few fava beans shared by our neighbors, then it was nearing 9 (the start of the concert) and Whitney was due to arrive soon, so we headed out towards Piazza Maggiore to see what the masses had accumulated to. It was CRAZYNESS. You could barely move between people, and there was no way we were going to get a view of the stage (we tried) so we went to find the next best thing, a screen! Also all cell service seemed to be overloaded, no smartphones worked, so I was very nervous about how I was ever going to find Whitney wandering amongst the crowd. Luckily as we were shifting positions we literally happened to walk right next to each other. It was amazing, and much stress was relieved. Together we struggled through the crowd to find a semi viewing point of the screen and from there we waited for Andrea Bocelli to appear on stage. When he did, I nearly died, and he sang Caruso and it was gorgeous. That was enough for us! Bocelli was seen and heard, we were claustrophobic, and we got outta there to find a bar to watch the rest comfortably on the television! By midnight we were back at Via Solferino, packed and ready to wake up early! Whitney had to leave by 8 to catch her train and head directly to her internship, and Melissa was back to the Ciociaria. Wasn't sure when I'd catch up with Melissa again, but it was a lovely weekend spent with her, and I would be seeing Whitney the next weekend for our trip to the cinque terra! For years the Cinque Terre have been on my "to-go" list. When I was little my parents took me to Portofino and Sestri Levante, both very close to the esteemed Cinque Terre, but not quite the same. I was also too small to appreciate the beauty of those places. When I studied abroad in Florence time just flew to quickly to make the trip there, and I have always regretted it. From Pinterest to Facebook, the bright colored buildings nestled on the steep slopes of the hills reaching the Mediterranean Sea have been haunting me for years. I doubted the Cinque Terre would look exactly like the pictures online, but I knew one day I would have to see it for myself! That's why I was so thrilled when my friend Whitney, studying in Ferrara, had a free weekend and wanted to explore some part of Italy. Even though it was early March, I decided hey, Why not the Cinque Terre?? And the plans began!!! By the plans, I mean booking a hotel... I settled on staying in Riomaggiore, the most southern of the five cities. I reserved a room from Airbnb because they seemed to have better choice than the hotels offered. The moment the train arrived in Riomaggiore, we were in heaven. We saw a glimpse of blue water from on the train, and when the train stopped, the sound of waves crashing into rocks filled our ears and we instantaneously fell in love. The 5 terre were magical. We spent the day town hopping in the rain, I bought MOKA earrings from a small shop in Vernazza (the most beautiful of the towns) and I swear, even in the pouring rain we could have sat there and just stared at the colorful building protruding into the sea for hours... I never wanted to leave! Unfortunately the paths were closed so we could do no hiking, but that secured the deal that I would be back to the 5 terra to explore both the hiking trails and the beaches on a much warmer and drier day in the future! Finally I was going to Milan. My mom always convinced me it wasn't anything special, so I had never really looked hard into going. BUT, my friend Alonso really wanted to go see the city for a day for his birthday, so I figured I might as well give it a shot with him! For weeks we had been searching low cost tickets on trenitalia, but we could only find tickets costing 40+ euro round trip, so we kind of gave up... until I saw an erasmus group trip advertisement on facebook! The day in Milan for 25 euro! It was PERFECT! This was the first ESEG (erasmus group/exchange student group) trip that we would both be participating in and I was psyched about the cheap price of 25 euro, but a little weary about the organization. And weary I should've been! I was glad I got to spend the day with Alonso, but we really didn't end up having much time at all to explore Milan. The bus left an hour late because a girl was late... then a 3 hour bus ride, that we stopped a half hour out at a rest stop for a half hour for lunch... dumb... then the free time that we had was very limited indeed and they didn't provide us with a map or any other information regarding popular spots so we were stuck with little information. With the group we climbed the top of the duomo. It was a gorgeous church, but the landmarks surrounding us weren't that impressive aside from the large Piazza beneath us, and we were rushed through everything! Alonso and I wandered to find some cheap lunch that wasn't at McDonalds (I do admit I bought a Milkshake there during our first 30 minutes of free time because it was the cheapest thing in sight! ), we wandered through the garden behind the castle and fooled around on some monkey bars... I realized I was weak after that, and I was sure my arms would be mighty sore the next day (i was right!). Anywho, to sum it all up... the duomo, the galleria and the castello sforzesco were the three sites we saw, and they were all magnificently beautiful. Especially the duomo. The gothic style is just so impressive in that piazza, you can't NOT like it. But as for the feeling/vibe that I took away from the city, I just couldn't say I loved it. It wasn't a true Italian city. I missed the old buildings, the quaint bars, and the cappuccinos that cost less than 4 euro. I'm sure they exist somewhere in Milan, but the short 5 hour trip did not lend us enough time to find the treasures of Milan. SO visit one of Milan for me was not an opinion changer... we'd see if it would remain that way when I returned soon with my parents! The following weekend I made it to Florence to visit the every crazy house of Claudia. Back to my old stomping ground of Giovanni Fabbroni. Always bittersweet! Starving when I arrived, I was pleasantly awarded with the opportunity to deserve the food I'd be eating for lunch! With Claudia, Gabri, Andrea (the baby), Chiara and Renato all in the house, Claudia put me to work! I helped her make gnocchi, enough for everyone and leftovers, and I was starved for lunch by the time we finished the production. We did a bel passegiata in centro to walk off our potato dumpling filled stomachs, recounted to each other the happenings of our lives, then like that, Claudia had prepared dinner, she was off without eating, I had delicious squash meal with Chiara and Renato, I was stuffed to the brim and off to meet Julia in Piazza Santo Spirito at the bar Volume! We had a great night catching up, we'd really only met once before, but we were both the same italy loving personalities so it was easy to get along. At the bar I crazily ran into Olivia Cuttita, a Wayland student, and Julia ran into a friend of a friend from Georgetown, who was currently studying in Valencia... small world. We listened to the Italian band play american hits until 2am, they even dedicated a song to us because the 4 of us were clearly the only americans in the joint (volume is generally locals), then we were off wandering the streets for a crepe or a kebab or some other late night treat! I took a cab home and slept like a baby in Gabri's bed! Sunday I woke up at ate breakfast with Chiara and Renato, then quickly escaped, not without take the colomba, pesto, leftover gnocchi and olives Claudia had prepared for me, and I walked into the center to meet Julia for a quick lunch then I was back to Bologna to study and prepare for my parents coming the following Friday. Thursday before Good Friday classes were cancelled so I hopped on a train to wander around Modena in the rain for a few hours. I should have brought my appetite because all I really toured was food! I saw the duomo and the main piazza, but then went sniffing from food shop to food shop and spent a long period of time in the big produce market in the center. Modena was rather small so I was able to conquer it in a few hours, and the rain was making it difficult for me to enjoy the outdoors, so I headed home to Bologna around 1 to clean and prepare for my parents arrival the following day. Man had I done a lot the past couple of weeks... I didn't even realize it until I wrote this! Yikes! Next Adventure: Spoiled by the parents! Nice fotos Lia. I wish I could take the train to Modena if I had a free afternoon.